March 17 By Corrie C This post may contain affiliate links. Read my disclosure policy here. Another neglected area in our shower is the shower door tracks…which means that they have gotten kind of gross! 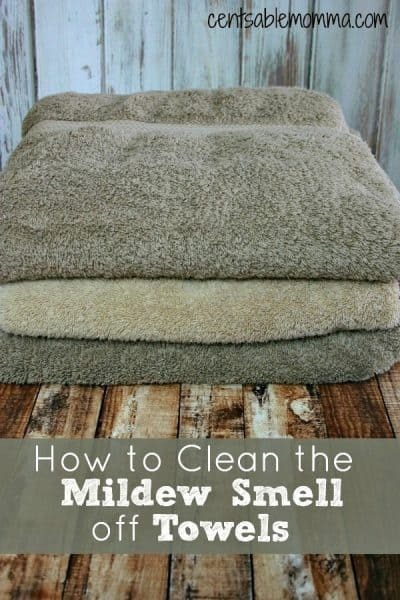 It's one of those areas of your bathroom that you know you need to tackle, but once it's gotten super dirty, the thought of cleaning it just disgusts you (and perhaps you think it will take forever to get clean!). 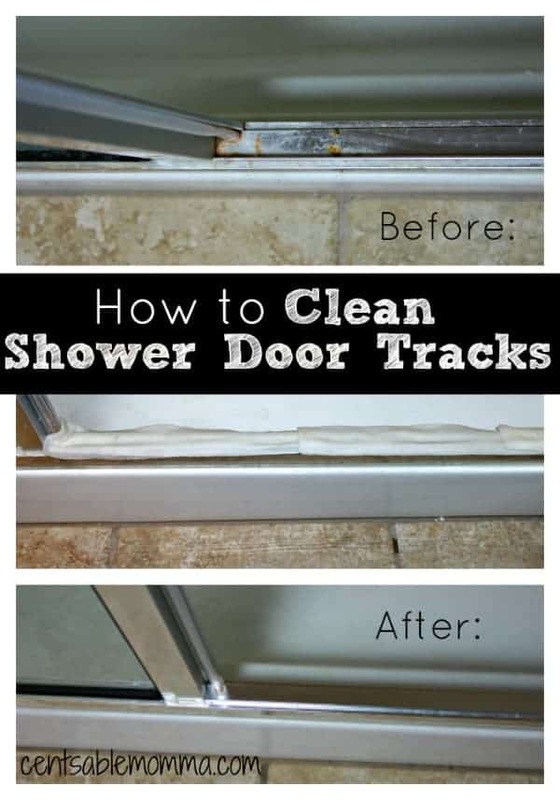 But with this one ingredient, you can quickly and easily clean your shower door tracks for both an initial deep clean and on an ongoing basis. Everything that I read said to stop up any holes with a paper towel and then pour vinegar into the tracks. However, because this is a shower stall with a door that opens and closes rather than a shower door that slides closed, there was no deep track with holes. So, I poured vinegar onto a paper towel and laid the paper towels onto the track and let them sit for 30 minutes. Be sure to turn on your exhaust fan because the smell of vinegar can be strong (although not toxic). Once the 30 minutes was done, I simply took an old toothbrush and ran it across the tracks. All the gunk and goo came right off. For the tight spots, I used a Q-tip to clean it. Then, I took a spray bottle with water and rinsed the vinegar off the tracks. Much better now! 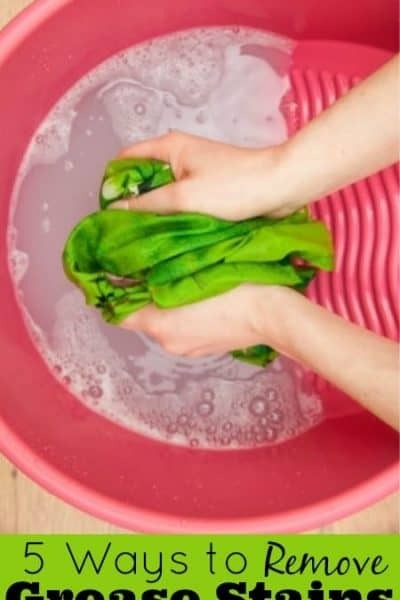 Do all your cleaning tips that use vinegar use distilled white vinegar? Like on the jewelry cleaner it doesn’t have a picture nor does it say what kind. Yes, distilled white vinegar. I’ll go back and clarify that on all posts that just state vinegar. Thanks for letting me know! You’ve inspired me to get in there and attack those nasty shower door tracks. Vinegar does everything! Love your site and can’t wait to explore some more. I so believe in all natural cleaners. We only have one earth! Ok my house was built in the 80’s with those darn glass showe doors. 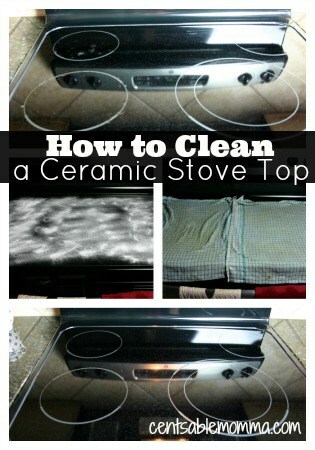 I’ve tried everything to clean the water stains off. I have found it. 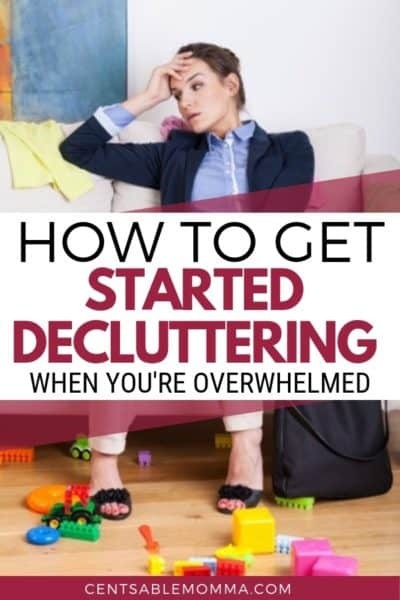 I wish I would done a before & after but I was very skeptical & never expected for it to work. You need to scrub some. 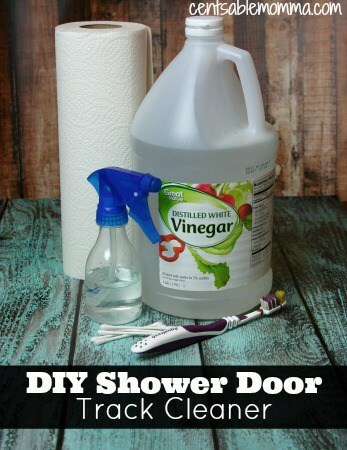 Spray on shower doors & scrub. You really only need to scrub if the water build up is bad. Yes! I have a very similar recipe – http://www.centsablemomma.com/diy-bathroom-soap-scum-remover/ and it works so great! How do you clean the tracks that are UNDER the shower doors? Like if you have sliding doors rather than one that opens? We had something similar in our first apartment, and we would stop up the holes with toilet paper and add vinegar. 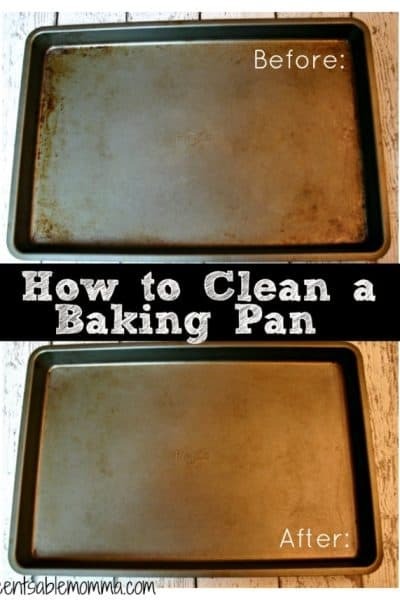 Let it soak for awhile and then try to clean them as best as you can. Clear out the toilet paper from the holes and rinse with water. Take the doors off of their rollers and set them aside. Hi, what is dawn from N.Z. We don’t have that stuff down here! Thanks for the question! It’s a brand of dish detergent. Just use your own local brand to try the recipe. We have the newer style shower doors: one-sided track (like yours) but with a nylon guide (pictures at lowes.com) to hold the sliding doors in place. Problem is, most of the guide is available for cleaning, but not all of it (otherwise the doors might fall off). How can we get under the door to clean that last bit? Thanks. Remember that the sliding shower doors do come off the tracks. Easy off and easy on. Pick them up and the bottoms when pulled toward you will come off the tracks. Tops just need a lil pull and left out. Fell free to change my description. I am only 5’2” and I can do it. I put white vinegar (and labeled it) in a spray bottle so I used and wasted less vinegar than when I poured it out of the regular bottle.